It seems like companies are always working on adding a little more magic to the season. They market sparkling decorations that can be blown up to be as tall as a house. With a whisper from Pinterest, you can end up decorating every part of your house. You might end up with a front door wrapped in shiny red paper, so much tinsel in your living room that you'll find scraps of silver behind your couch when searching for eggs on Easter morning. Your toilet might even end up decked out like Santa Claus. But here's the thing, you don't have to spend four weekends in a row, putting up blinding twinkle lights, all you need to do is flaunt your belief in magic this holiday season! 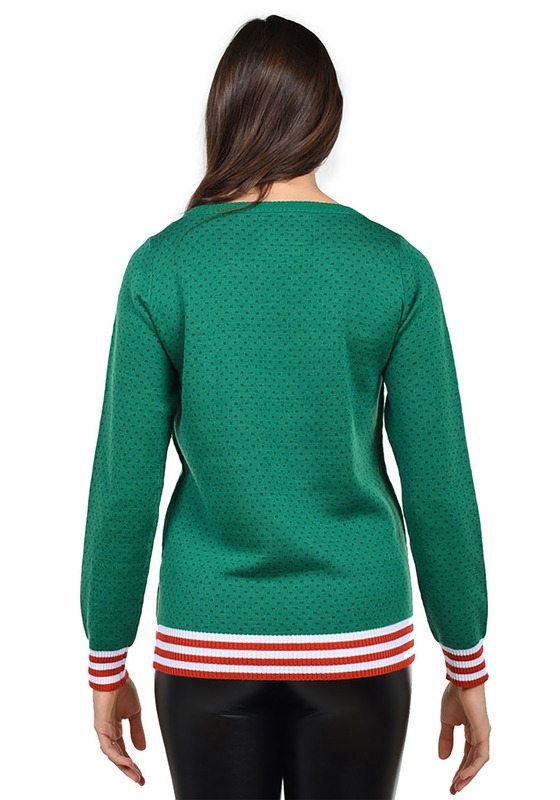 This rich red and green sweater is both holly and jolly. The cheerful unicorn that's woven into the front is happy to hang with a lush, seasonally colored mane and a banner with "Belief" sign. The sleeves and waist are trimmed with rigged red and white striped fabric that helps you keep all your precious warmth next to your skin. As we all know, Santa can't drive his sleigh unless people believe. If folks believe in unicorns, they're more likely to support flying reindeer as well. That's statistically proven! 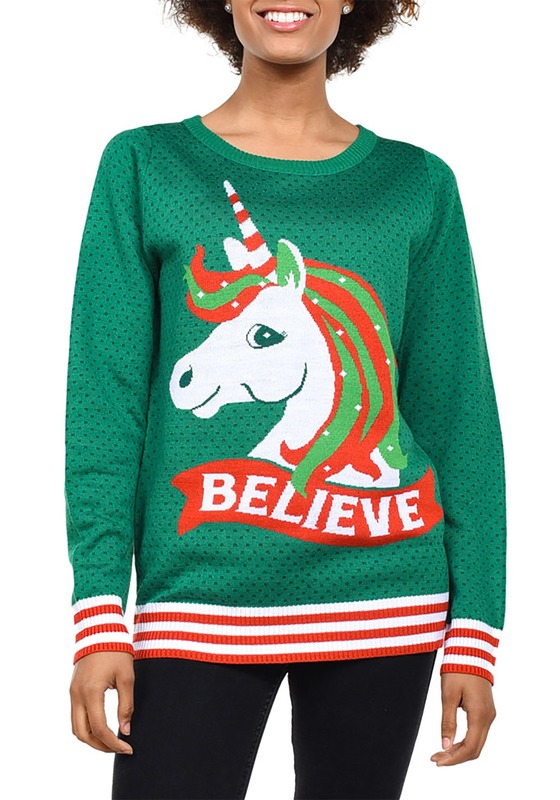 So go ahead and bring a little more magic into your holiday wardrobe. Whether you're celebrating the holidays with family, coworkers, or friends, you're sure to spread the joy when you're rocking this knit!